Hello all! From Level 1 users +! I'm looking to hire someone to promote my sites and things on Reddit, Quora and Yahoo! Answers! All we need is simple answers to people's questions and placing the website link in your answer/comment. Obviously the answers/comments made need to be good ones, helpful and informative. We don't want any spammy posts, sloppy and rushed jobs just honest good workers please! I can pay up to $1 per answer/link created right now. But on good performance we will look at increasing that to $2 etc. This will be a long term life long thing as we'll always need these. So looking for someone good to hire that can do all of these! Reddit posts promotion: Posting in relevant Subreddits good posts, answers, replies with the link. Quora Answers promotion: Posting answers to people's questions with the link too. Yahoo! Answers promotion: Posting answers to people's questions with the link. And your price for each 1 answer or whatever. People with higher levels and aged, established accounts, such as Reddit accounts with lots of karma, Quora and Yahoo accounts that are high levels are more prefered and have a better chance of being hired! You must be able to complete and deliver the answer in 1-2 days. i have gone through your project details we can undertake your project and deliver stunning results as per your demands and needs and can help you regarding this. i will give you 2 reddit submission link and 6 clickable links by yahoo answer. have a good and enjoyable day.i am a professional seo specialist . i provide you guaranteed traffic by quora answer with your keyword and url. please check my service. sir, we have 5 year old reddit account and we can post one answer with your link. requirement: tell us sub-reddit address and post tittle and we will post answer with your link there. thanks. i will give you 20 high-quality quora answer backlink. hello sir, i have experienced in smm, seo(on page, off page). i am already promoting some website on reddit, quora, yahoo answers with back-links. so i think, i am perfect for this work, i know how to do this work. i will charge $1 per promotional post. you can hire me. i will provide the great result with my hard work and lots of previous work experience. i'm seo smm and linkbulding expert.i'm done many project of yahoo and quora answer.i will do my best for your job.i will provide you 4 quora answer 2$. i have got huge working experience on this matter. i have tons of reddit, quora, yahoo answers account (level 3) to post live/clickable links in resource box. i know how to post answers for targeted keyword without getting banned. 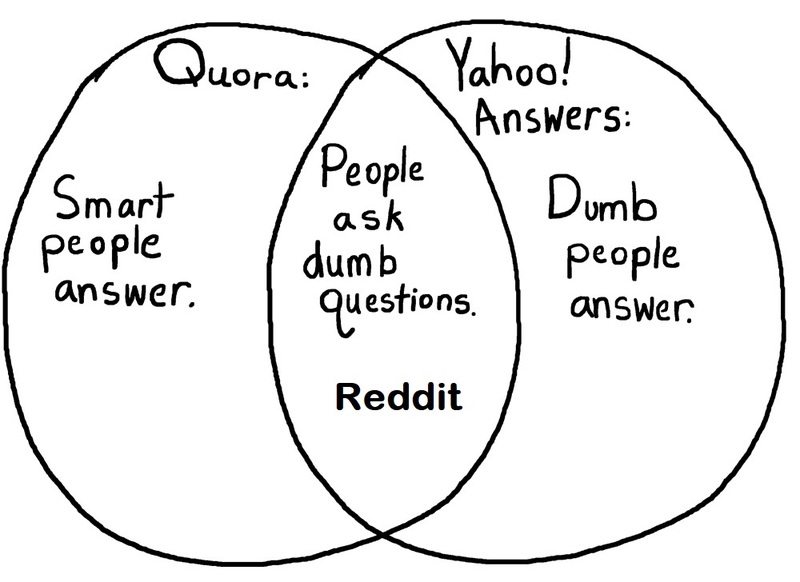 i have lot of experience with reddit , quora & yahoo! answers promotion. so, you can higher me..thank you.